★This Plastic Scriber II is ideal for cutting thick plastic boards, adding detail to plastic scale models, and opening holes to modify Mini 4WD bodies. 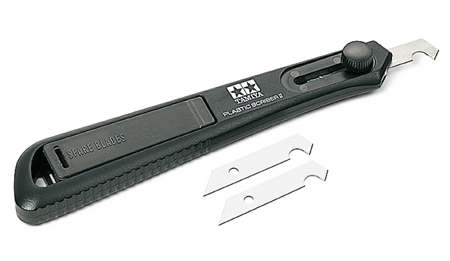 ★The Tamiya original narrow blade enables easy access to hard-to-reach places. ★The blade can be retracted inside when not in use.